BRAND NEW 2018 build! NO HOA or CDD! Are you looking for the perfect turnkey home? Look no further! This 3 bedroom + den, 2 bath single family home is ready for you to move right in. 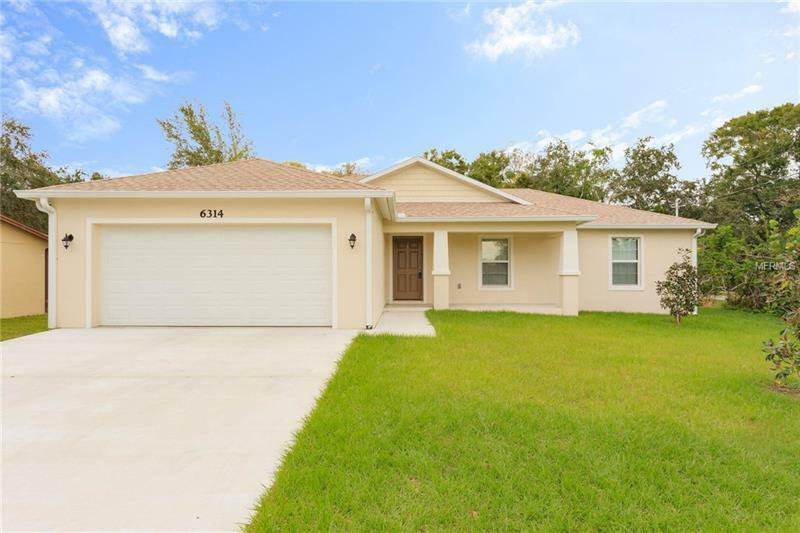 It is situated on a corner lot with no backyard neighbors and is conveniently located in South Tampa with easy access to the Selmon Expressway. Upon entering, you will be wowed at the vaulted ceilings with recess lighting and open floor plan. The kitchen boasts stainless steel appliances, soft close cabinets and large center island overlooking the breakfast nook and living room. The split floor plan offers plenty of privacy for your master retreat. The master bedroom features walk-in closet and ensuite with dual vanities, large walk-in shower and separate tub. The den could easily be used as an office or fourth bedroom. From the living room, sliding glass doors lead out onto the back patio. You will enjoy spending your time outside entertaining friends and family with the peace and quiet of no backyard neighbors.